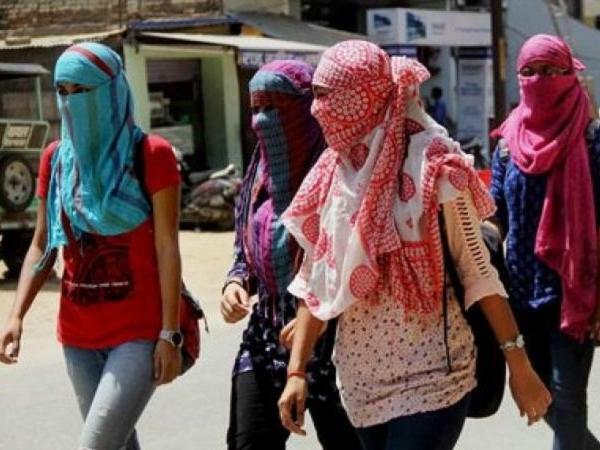 The maximum temperature was recorded at 42 degrees Celsius, three notches above normal while the minimum was recorded at 23.5 degrees Celsius, a notch above season's average, a Meteorological official said. Delhi recorded the season's hottest day with the mercury hovering at 42 degrees Celsius on Thursday. The humidity levels oscillated between 88 and 26 per cent. "The maximum temperature was recorded at 42 degrees Celsius, three notches above normal while the minimum was recorded at 23.5 degrees Celsius, a notch above season's average," a Meteorological official said. The skies will remain partly cloudy tomorrow. Also, there is a possibility of thunderstorm later in the day, the official added. Yesterday, the minimum temperature settled at 20.8 degrees Celsius, while the maximum temperature was recorded at 41 degrees Celsius. Earlier on April 22, the national capital recorded a maximum temperature of 35 degrees Celsius, three notches below the season's average.